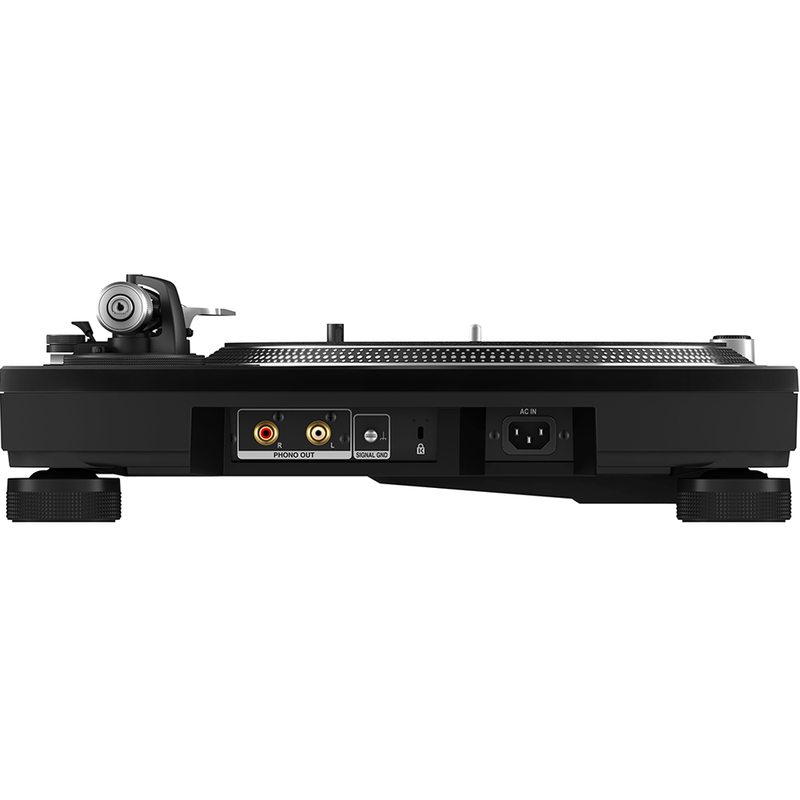 The PLX1000 is Pioneer's answer to the now discontinued Technics SL1200/1210, featuring high quality components the PLX1000 brings additional features to the classic Technics design like removable cables and multiple pitch control options. 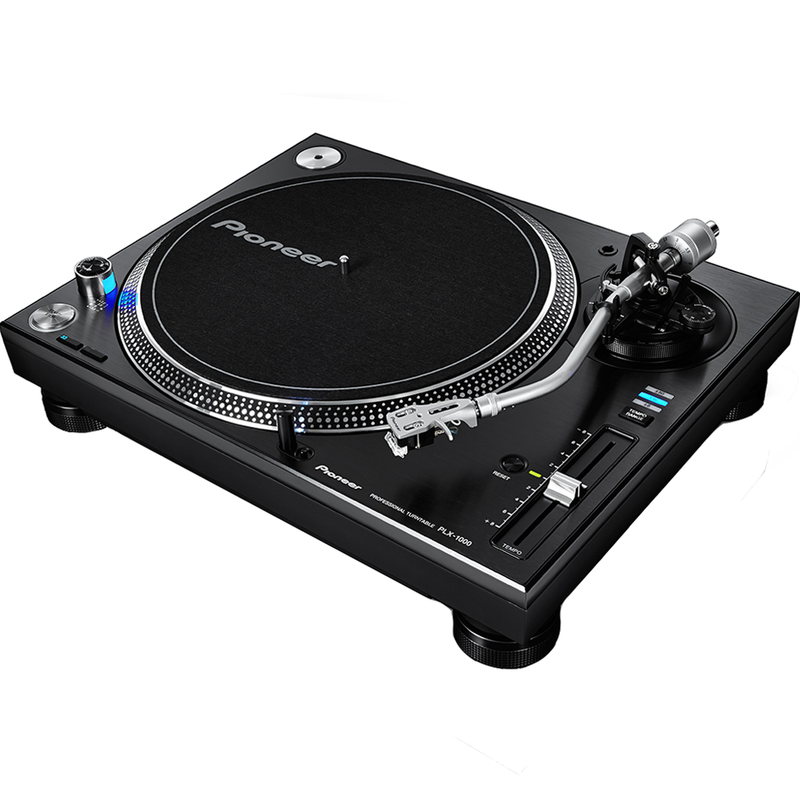 The PLX-1000 build on Pioneer's expertise in turntable design which has been accumulated over 60 years. 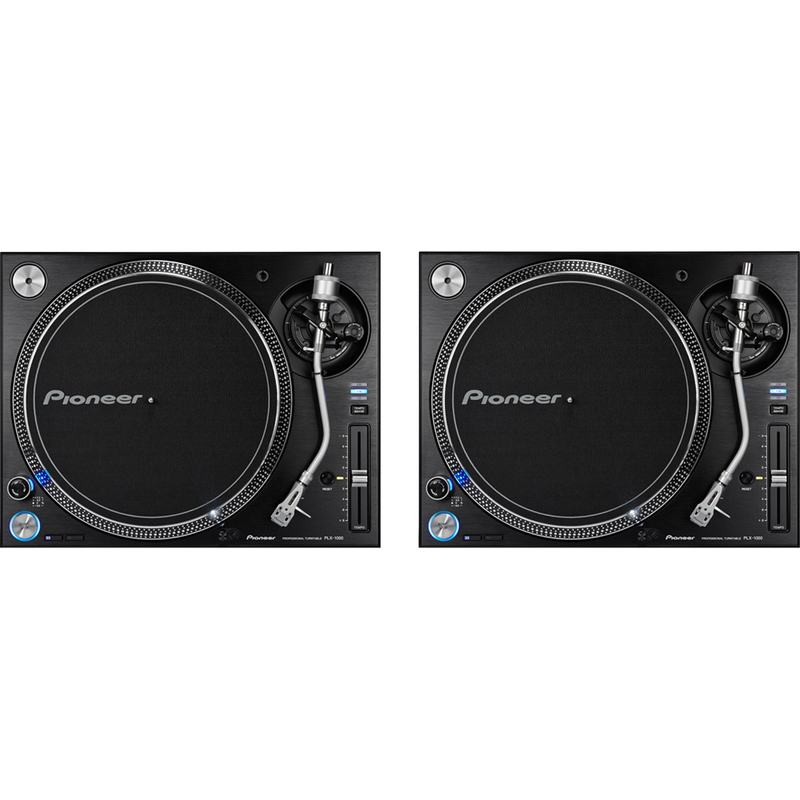 Pioneer conducted an in-depth investigation into the needs of turntable users, their aim being to design a user friendly layout that DJs would be instantly familiar with. The PLX-1000 employs a high-torque direct drive system that provides a stable rotation and will withstand the demands of heavy use in venues and clubs. The starting torque is more than 4.5kg.cm and they will reach the fixed rotation speed within 0.3 seconds (33 1/3rpm). 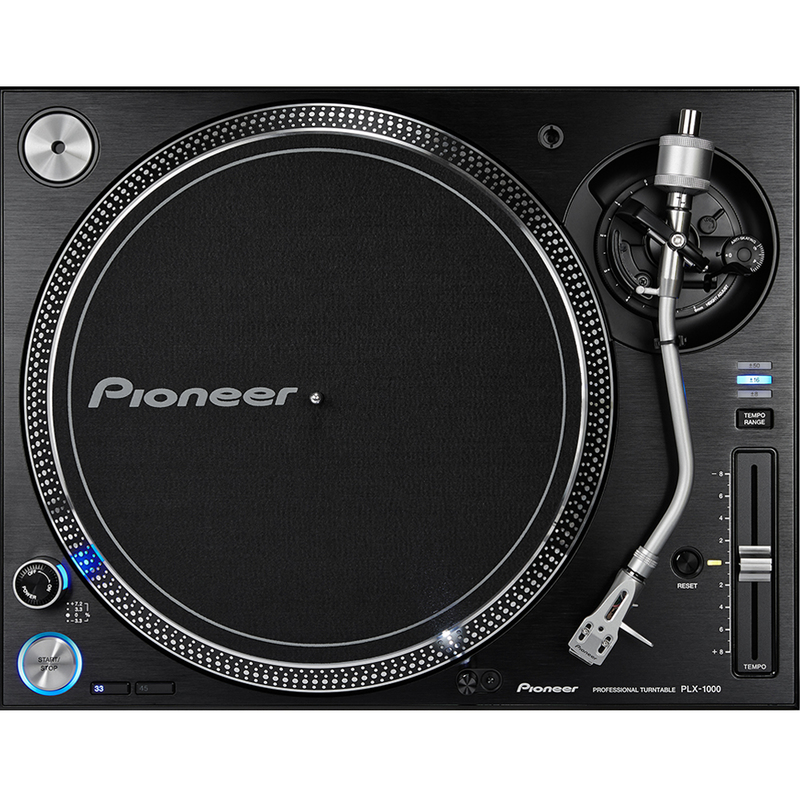 Pioneer have achieved excellent sound quality through quality design. Howling is reduced by the installation of rubber tubing inside the tonearm. The upper part of the main body is constructed from die-cast zinc whilst the lower part uses 8mm-thick resin and the base a 9mm thick vibration damping material to achieve optimum sound quality. The RCA jacks use machine cut and gold plated parts to ensure that the sound of analog records is faithfully reproduced. 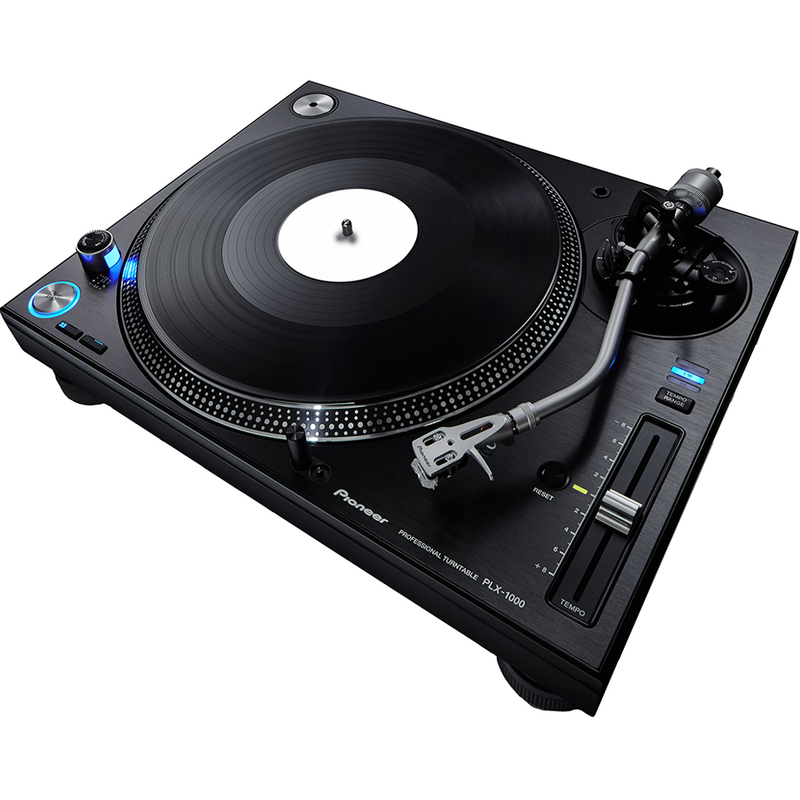 The range of the pitch control can be switched between ±8%, ±16% and ±50%, offering DJ's and turntablists more creative performance possibilities. There is also a reset button which will instantly revert the rotation speed to ±0%. The PLX-1000 uses detachable power and audio cables which means that users can use their own preferred audio interconnects to retain the sound quality and the cables can be removed completely for transportation purposes. The units have also been designed so that when connected, the plugs do not exceed the outer dimensions of the deck. Pioneer have opted to use rubber springs on the dampening parts of the insulator to ensure that external vibrations are absorbed and isolated, the start/stop button has also been meticulousley designed to ensure that minimal noise is introduced into the signal.